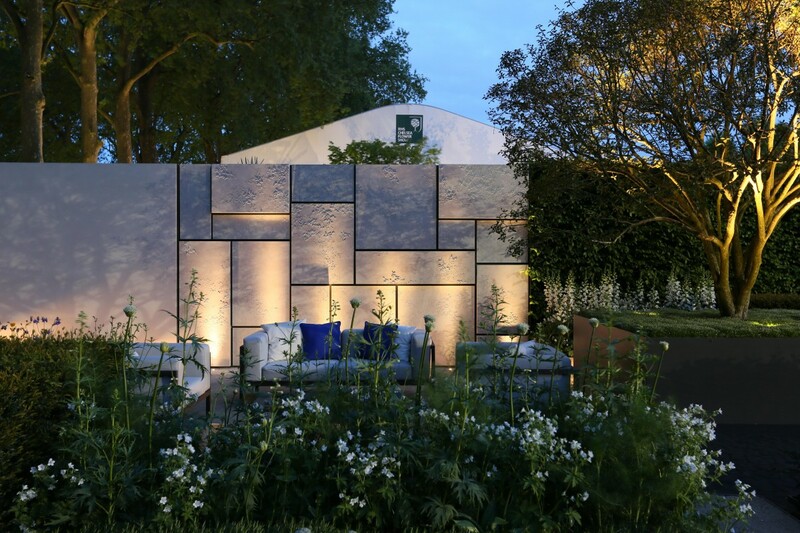 We are proud to announce that we have lit two wonderful award winning gardens at this year’s Chelsea Flower Show – both the Telegraph Garden designed by Marcus Barnett and the Sentenbale – Hope in Vulnerability garden designed by Matt Keightley. 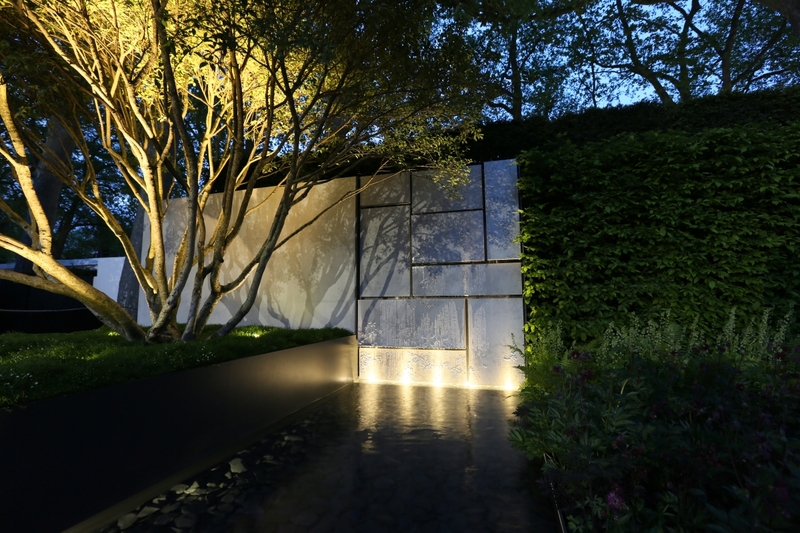 For Barnett’s Gold Medal winning garden, a wide range of effects were used to highlight the strong rectilinear geometry, textural relief and to emphasise the series of differing scaled waterways. 1w Lucca uplights, set into the gravel, graze up the textured stone backdrop emphasising its form. 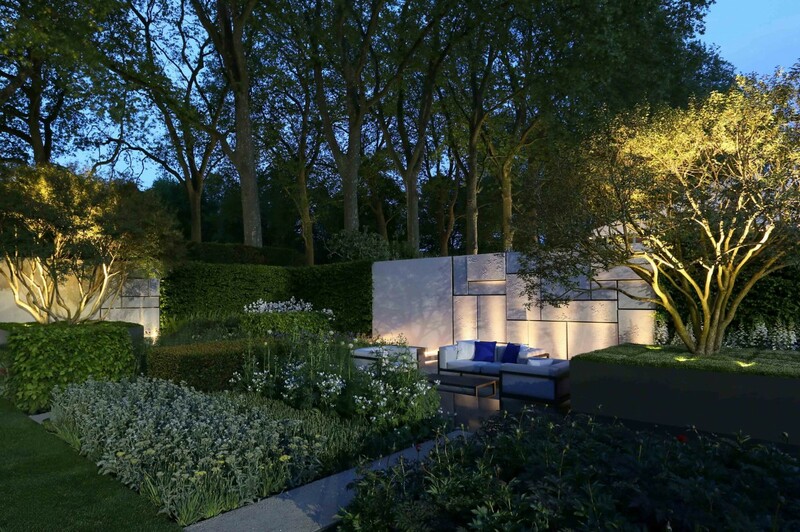 8.5w Kensington spiked spotlights light up the multi-stemmed trees making them like soft sculptures which reflect in the mirrored surface of the water Pond Lights, lighting up through the water add a dappled softer effect on the stone hovering above and highlight the varying water rills. The water was purposefully not lit to play on reflections. At low level, the different level of paving is emphasised with a strong linear effect using our new Contour HD27X. 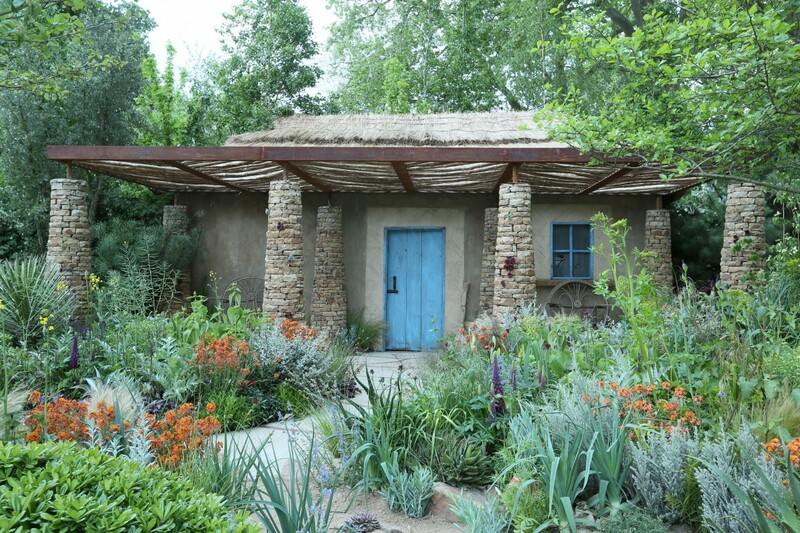 For Keightley’s Silver Gilt Medal winning Chelsea Flower Show garden for Prince Harry which aims to raise awareness of Sentebale’s work in providing healthcare and education in Lesotho. The sheltered pergola acts as visual draw in the wild garden and to provide a focus at night, four 1w Kew spiked spotlights were used to graze lights up the dry stone column supports which results at night in the wildness being softly silhouetted (daylight shot shown). For a list of all the Award Winning Gardens, click here.